Last week while we were all busy with GDC shenanigans, developer Simogo quietly announced Bumpy Road, the follow-up to their previous iOS title Kosmo Spin [99¢]. After being pointed in the direction of the game’s trailer (thanks Daniel! 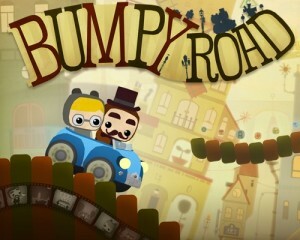 ), it didn’t take long for me to realize that Bumpy Road is shaping up to be something special. It utilizes an interesting control mechanic where you directly change the elevation of the ground using your finger. This enables you to raise and lower a car driving on that ground in order to collect various objects and negotiate the terrain. The premise of Bumpy Road will revolve around a family out for a leisurely drive, and the items you collect are actually memories that will tell the story of their lives. According to the information on Simogo’s website, it sounds like Bumpy Road will contain an endless mode, a timed mode, and a story mode, but the exact details are unknown. Simogo does promise that it will be a universal app with Retina Display graphics and Game Center integration for leaderboards and achievements. 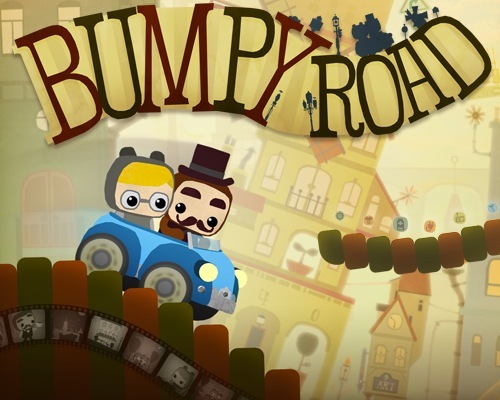 So far people are getting pretty excited for Bumpy Road in the upcoming games thread in our forums, and based on the hints from Simogo in that thread the game could be available as soon as next month. We’ll keep a close eye on Bumpy Road and bring you any new information as it becomes available.